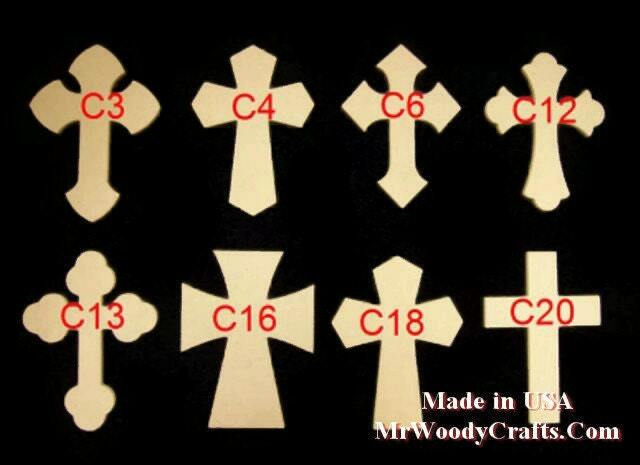 You are buying 25 Unpainted Wooden Crosses, cut from 1/4" MDF Anything under 1/2'' thick will not have a keyhole. May require light hand sanding. Mr. Woody is awesome to work with....very accommodating, fast shipment and good quality product. Free Shipping 10 9 x 12 Wooden Cross. Your choice of 10!